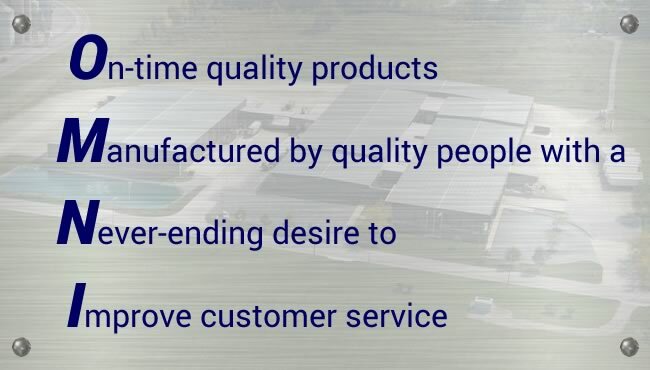 Omni Manufacturing, Inc. is committed to meeting our customer’s expectations in terms of the quality of the products and the services that we provide. The management of OMNI affirms this commitment and is leading the effort to establish and maintain an ISO/QS9001 quality system. With this quality system, the management of OMNI is committing itself to a strategy of continuous improvement, relentlessly seeking to learn the expectations of our customers and striving to meet those expectations at all times. Continually enhance and promote a safe work environment as the number one concern. The entire Omni Manufacturing, Inc. team is committed to the company’s quality policy, procedures, written instructions and its subordinate documents. To ensure that we deliver consistent high quality and as part of our dedication to being the best at what we do, Omni Manufacturing is proudy accredited with an ISO 9001 certification for our quality management system. Producing quality work is of paramount importance to us, and the ISO accreditation is a powerful demonstration of how we ensure the best quality of work for all of our clients.